“Japanese SF is fresher and more enthusiastic than American SF. One of the great concerns of the US science fiction community is attracting new readers, and “new readers” almost always means young people. Most current SF readers started as kids, after all, but what is the new generation reading? (Manga, as it turns out!)... Manga (and Japanese SF) can be plenty serious. Even kids are concerned about issues and relationships” ( Nick Mamatas). “Everybody knows how popular comics, video, RPG and mangas are among the young audience. Japanese SF is heavily influenced by anime and mangas. It is more “fun” to read, it is more optimistic and therefore more appealing to young people” (Sissy Pantellis). This turned into a real “a-ha!” moment for me given my steady diet of Japanese anime from childhood. I didn’t think about the cultural differences between Japanese SF and American SF in quite that light before. It resonated deeply since much if not most of the anime I’ve watched from a young age incorporated a lot more optimism than the American SF novels I read. "Huh," thought I. "This bears further investigation." In Japanese SF anime and manga, romance frequently makes a presence in the form of a subplot or romantic elements. Historically and continuing on into the present, the artists behind these creations aren’t aversive to it, either. They celebrate romantic attachments. While STAR TREK and STAR WARS also involve optimistic elements, the romantic angle hasn’t been explored as deeply in these franchises the way it has in their Japanese counterparts. So for there to be an actual genre (science fiction romance) that reflects a Japanese SF mentality is very exciting to me. No wonder I developed such an interest in American SF writers who included romantic elements/subplots in their stories—the blend had been reinforced early on by anime. The optimism of Japanese SF also helps explain the popularity of manga among romance readers. To the above Mind Meld contributor's thought on “new readers,” I would naturally include romance readers in that pool. 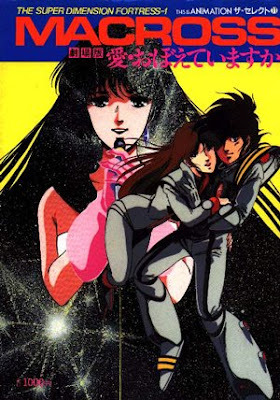 In addition to novels, perhaps publishers could consider SFR manga as a way of offering romance readers something fresh and exciting, yet familiar and optimistic at the same time.